1991 VG, a roughly 66-foot-long object, has baffled astronomers for almost three decades. DailyMailAn illustration of 1991 VG’s orbit compared to the sun, Mercury, Earth, Venus and Mars. A mysterious extraterrestrial object known as 1991 VG, thought to be an alien probe, has been revealed to be nothing more than a chunk of rock. Dubbed 1991 VG after the year it was first sighted by US astronomer James Scotti; the roughly 66-foot-long object has baffled astronomers for the past 27 years. 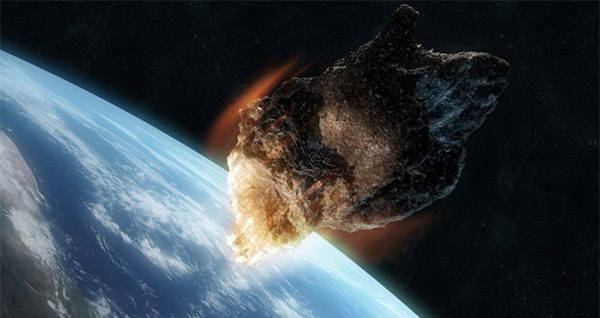 Whereas most objects that enter the area around the Earth tend to burn up in the atmosphere or become trapped in Earth’s orbit, the 1991 VG broke the mold. It flew extremely close to earth – just 450,000 kilometers from the surface – and, it had a heliocentric orbit, meaning it followed its own, not just Earth’s orbit. In addition to its location and rotation, the object seemed to reflect light, leading some to suggest that it could be covered in a sort of reflective paneling, like that used on spacecraft. Upon finding the object, scientists immediately began speculating what it could be. Some suggested it was a new type of asteroid or a satellite secretly launched by the Soviets. Even more far-fetched were the suggestions that the object was some kind of alien probe, sent by extraterrestrial beings to investigate earth. 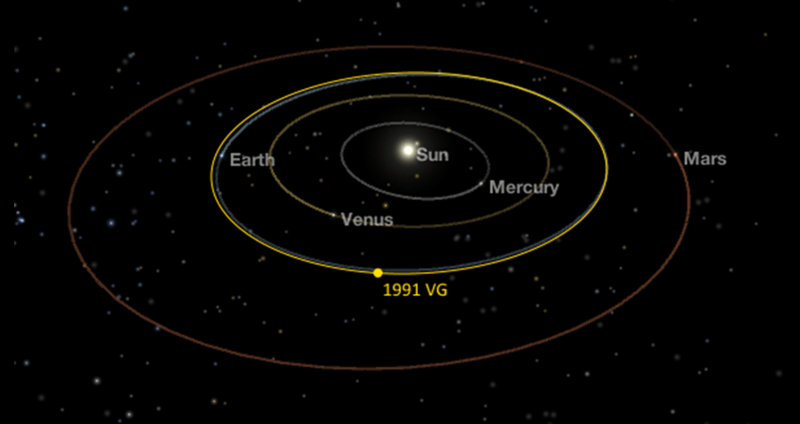 A year after it was discovered, 1991 VG disappeared from orbit. Scientists who had been studying it believed that its trajectory would bring it back sometime around 2017. They were right. In August of last year, 1991 VG made another appearance, sparking up old conspiracy theories and delighting the scientists who had spent years waiting for its return. In 2015, two years before the object returned, scientists and theorists began hypothesizing about 1991 VG’s return and what it could mean. Those who had studied the object had reached a few conclusions. It was likely either a section of the Apollo 12 rocket, another spacecraft that broke up in orbit, or simply a chunk of asteroid that had broken off and launched itself on a new trajectory. Unfortunately for the conspiracy theorists who pegged it as an alien probe circling back to check on us earthlings, the scientists’ second, less exciting theory turned out to be true. According to the de la Fuente’s study, the alien probe is simply a rock. Next, check out these photos that NASA’s probe to Jupiter returned with. Then, check out these government alien experiments that will give you chills.